The Allianz Arena is a football stadium in the north of Munich, Germany. 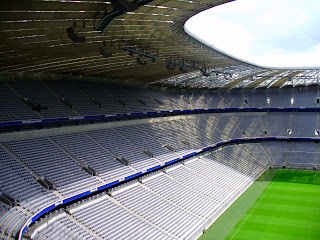 The two professional Munich football clubs FC Bayern Munich and TSV 1860 München have played their home games at Allianz Arena since the start of the 2005–20006 season. Both clubs had previously played their home games at the Munich Olympic Stadium since 1972, where FC Bayern Munich played all of their games and TSV 1860 München most of their games. The large financial services provider, Allianz purchased the rights to name the stadium for 30 years. Effective with the city's approval of modifications that was granted January 16, 2006, the legal capacity of the stadium has increased from 66,000 to 69,901 spectators.The total capacity includes 2,000 business seats, 400 seats for the press, 106 luxury boxes with seating for up to 174 and 165 berths for wheelchairs and the like. 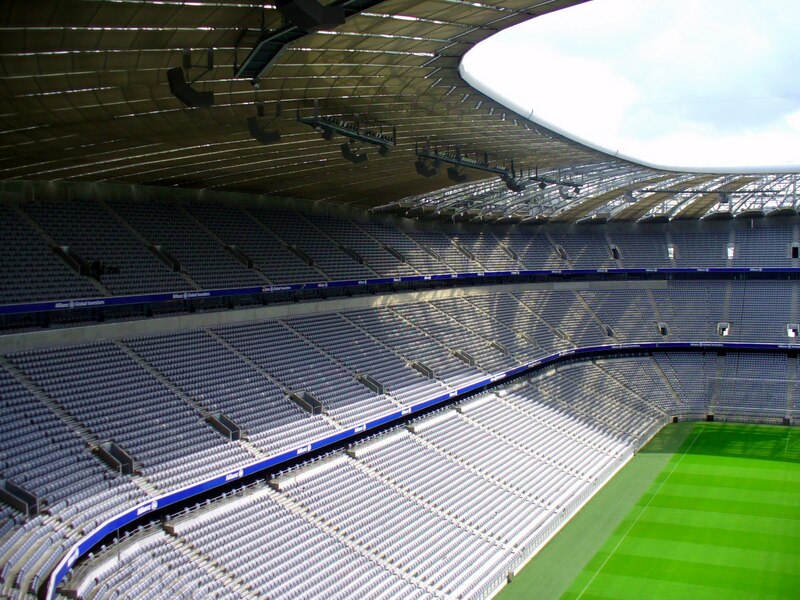 From the second half of the 2005-06 Bundesliga season, the arena is able to accommodate 69,901 spectators at league and German Cup games, but because of UEFA regulations, the capacity remains at 66,000 seats for UEFA Champions League and UEFA Cu games. Bayern Munich has limited capacity during their league and cup games to 69,000. The partial roof covers all seats, although winds can still blow rain onto some of them.